La Timpa is located in a wooded area overlooking the sea, one of the most beautiful sites on the island. We have brand new bungalows and mini air-conditioned apartments with satellite TV and kitchenette, that you may enjoy in maximum comfort and privacy. 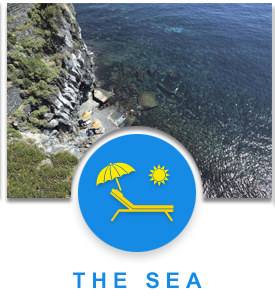 La Timpa offers year-round hospitality, courtesy, good food and a wonderful seashore easily accessed by a lift carved into the lava rock. “The sea is completely blue.The sea is completely calm.In one’s heart it is almost a cry of joy.”. “The sea is everything” by Sandro Penna. 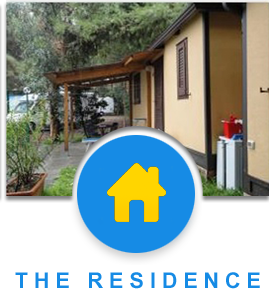 Open all year around,the “International Camping Village La Timpa” is situated between the charming fishing village of S.Maria La Scala and the nature reserve La Timpa (where it gets its name from), just a short distance from Acireale town. Overlooking one of the most beautiful seas of the island, our private beach can be reached by a lift dug into the lava cliff. 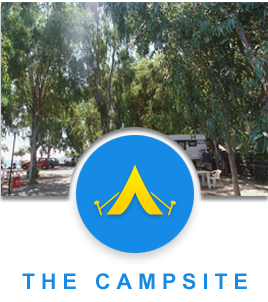 The campsite is lined with trees and is dipped in a splendid garden of lemons and typical flowers of the Mediterranean. We can offer you the beauty of unspoiled nature, a relaxing and quiet environment and, of course, our hospitality and kindness. 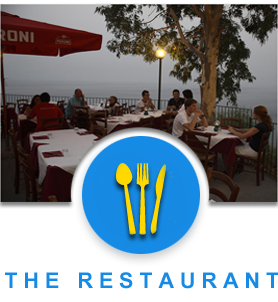 An excellent restaurant, along with various tours to visit Sicily’s fascinating sights of historical or archaeological interest make The Campsite “LA TIMPA” the ideal destination for your holiday. - SCHOOL OF SUB – DIVING CENTER directly to inside of Camping La Timpa , by diving instructor Marco Mosso who will visit our spectacular backdrops marin rich in fish. Open all year around, the “International Camping-Village La Timpa” is situated in an area of natural beauty in “LA TIMPA” NATURAL RESERVE, so genuinely unspoiled and unique, directly by the sea. It is dipped in a splendid garden of lemons and typical flowers of Mediterranean. 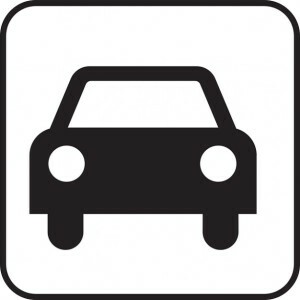 A very special atmosphere welcomes you in a cozy and comfortable environment. An excellent restaurant, along with various tours to visit Sicily’s fascinating sights of historical or archaeological interest make the Campsite “LA TIMPA” the ideal destination for your holiday. Several terraces at different heights offer you an enchanting view of the coast, from Syracuse to the Calabrian coast, in the shadow of pines and eucalyptus making the air healthy. From the panoramic terrace (40 meters from sea level) you can take a lift dug into the lava cliff to reach our private rocky beach, near to the well-known “Cave of doves” in the crystal clear sea full of fish. The campsite “La Timpa” offers newly built bungalows and mini-apartments equipped with air conditioning, satellite TV,and kitchen to ensure you maximum comfort and privacy. You will have the unique opportunity to enjoy a pleasant stay in this modern furnished and comfortable accommodation surrounded by lush Mediterranean vegetation and with stunning Ionian sea views. 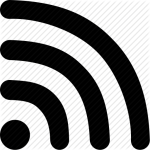 A cozy restaurant is open year-round inside the Camping-Village, with pleasant and helpful staff, serving excellent pizza with rich and tasty toppings, fine Sicilian pasta dishes, fresh fish on the grill, all at reasonable prices. During summer, dinner is served in a charming atmosphere on a terrace overlooking the sea.